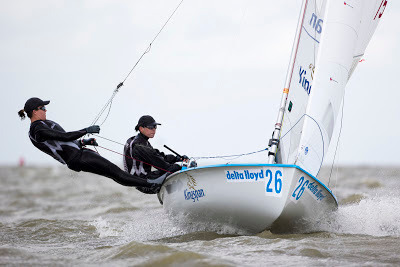 SailRaceWin: Delta Lloyd Regatta : Gold - Silver - Bronze for NZL Sailing Team! Delta Lloyd Regatta : Gold - Silver - Bronze for NZL Sailing Team! Once again Jo Aleh and Polly Powrie are New Zealand's golden girls! They haven't stopped winning at Women's international 470 events they have entered since they won Gold at the London Olympics in 2012. AWESOME performance! This is also despite Jo commenting to us that she couldn't feel her hands or feet while sailing this past week in the cold of Medemblik!! Out in front: NZL75 is Team Jolly Racing, winners of the Women's 470 class at the Delta Lloyd Regatta 2013. Image copyright Sander van der Borch. In the Men's 470 class it wasn't quite Gold this time, but Silver is the closest thing to it! Increasing consistency of performance from Paul Snow-Hansen and Dan Willcox bodes well for future successive Gold medals. Andy Maloney took the Bronze medal in the Netherlands this week, having missed out on Olympic selection for London 2012 Games to his training partner. Maloney's performance is also showing increasing consistency at the top of the class, with his having taken Gold in Trentino. 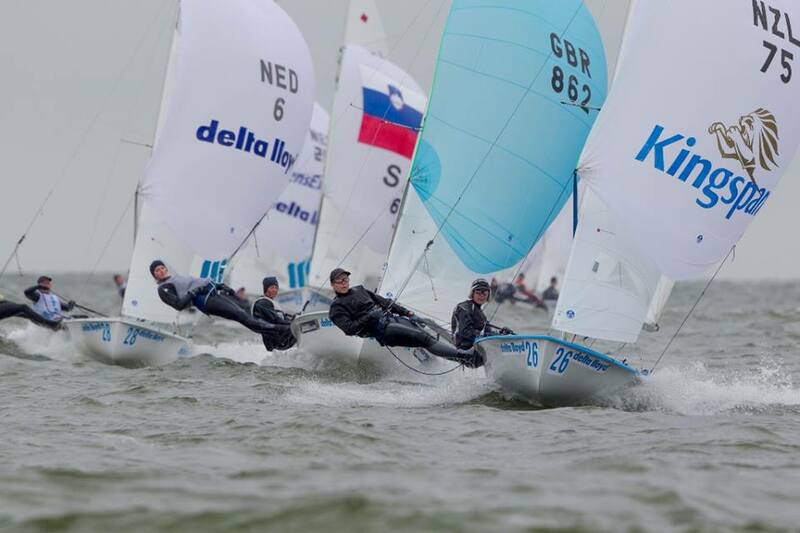 This bodes well for the future, not least as Sam Meech finished fifth in this class in Medemblik, showing the strength in depth of Kiwi Laser sailing. 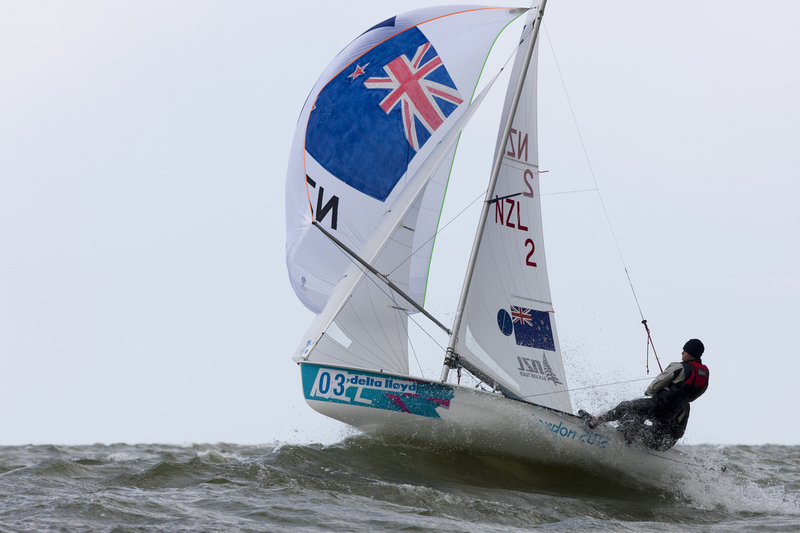 Andy Maloney hikes hard on the Laser on his way to a Bronze medal in Medemblik. Image copyright Sander van der Borch. In Italy, at the previous EUROSAF event, New Zealand obtained three Gold medals! The Kiwis who won Gold in Italy in the 49er did not compete in the Delta Lloyd Regatta. 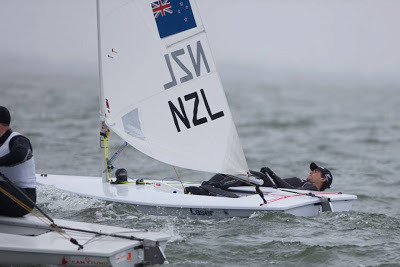 The New Zealand Sailing Team is rapidly gaining strength in depth and becoming a major force to be reckoned with in Olympic Sailing.